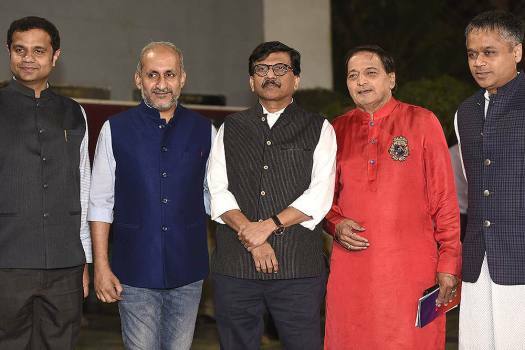 MP and Producer Thackeray Sanjay Raut along with the Colours team at the pre release promotional event of Thackeray, in Mumbai. 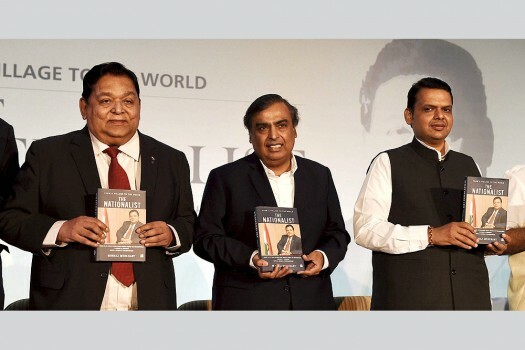 L&T Chairman A M Naik, Reliance Industries Chairman Mukesh Ambani, Maharashtra Chief Minister Devendra Fadnavis, during the launch of Naik's biography The Nationalist in Mumbai. 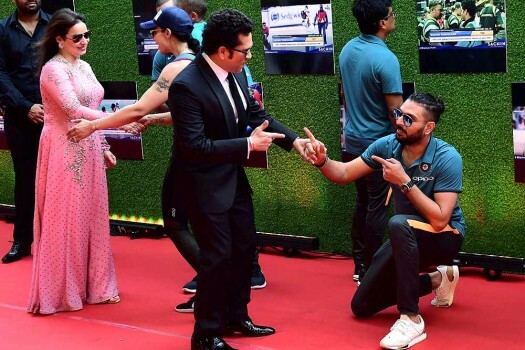 Sachin Tendulkar's fan Sudhir waves the Indian tricolour as Sachin with wife Anjali arrives at the screening of the biopic 'Sachin: A Billion Dreams', in Mumbai. 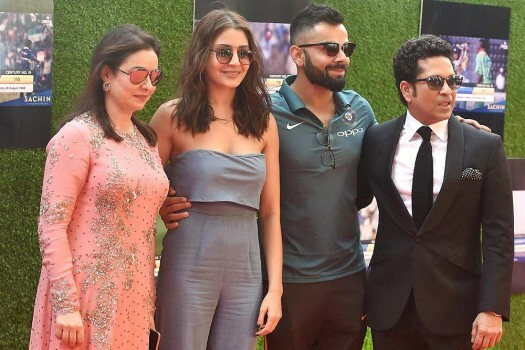 Master blaster Sachin Tendulkar with Ranvir Singh during the premier of his biopic 'Sachin: A Billion Dreams', in Mumbai. 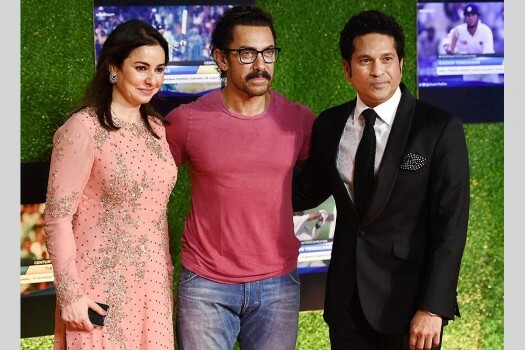 Master blaster Sachin & Anjali Tendulkar along with Amir Khan during the premier of his biopic 'Sachin: A Billion Dreams', in Mumbai. 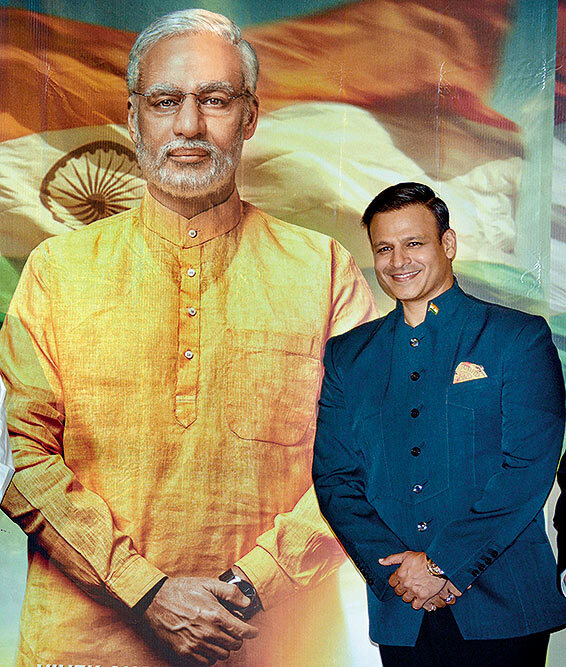 Cricketers M S Dhoni and Shikhar Dhawan arrive at the screening of film 'Sachin: A Billion Dreams', in Mumbai. 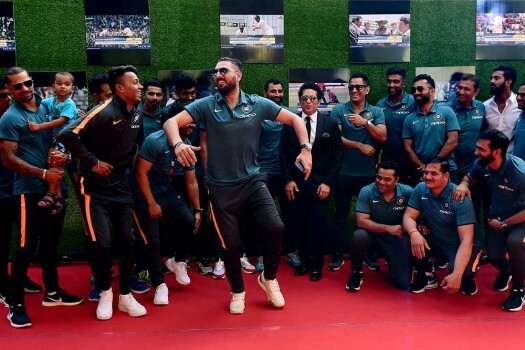 Master blaster Sachin Tendulkar with Yuvraj Singh before the screening of 'Sachin: A Billion Dreams' film, in Mumbai. 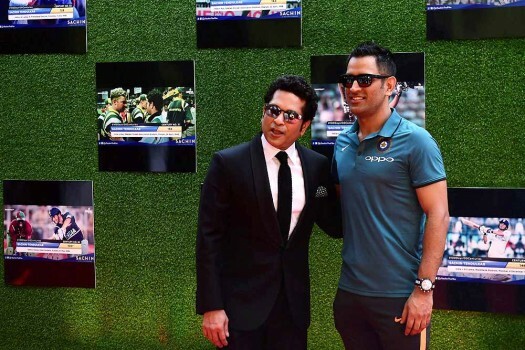 Master blaster Sachin Tendulkar with M S Dhoni before the screening of 'Sachin: A Billion Dreams' film, in Mumbai. 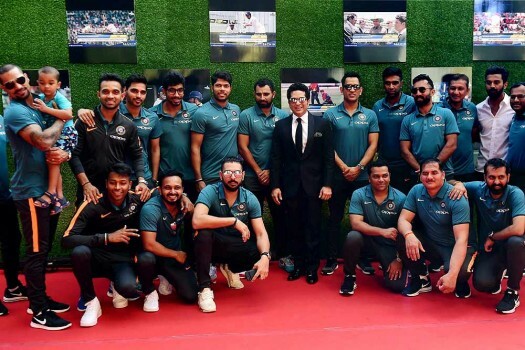 Master blaster Sachin Tendulkar along with the Indian cricket team at the screening of film 'Sachin: A Billion Dreams', in Mumbai. 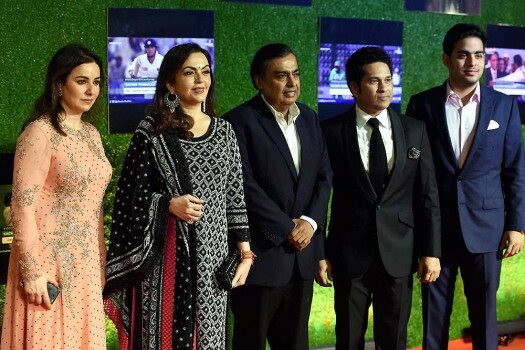 Master blaster Sachin & Anjali Tendulkar along with Nita Ambani, Mukesh Ambani and Akash Ambani during the premier of his biopic 'Sachin: A Billion Dreams', in Mumbai. 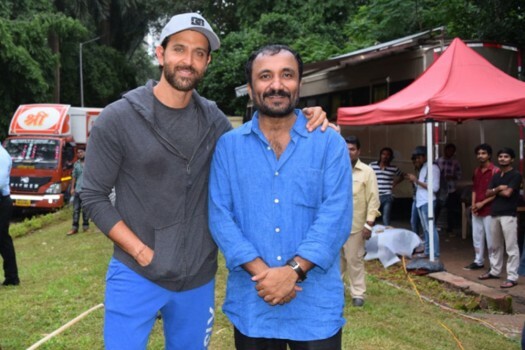 More and more people today want to do what the Super 30 founder Anand Kumar is doing, says director Vikas Bahl. 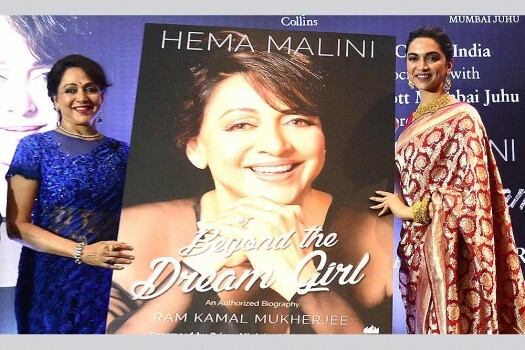 The Reema Kagti-directed sports film is only the second movie after Rajinikanth’s hit social drama, Kaala to hit the theatres in the Gulf country. 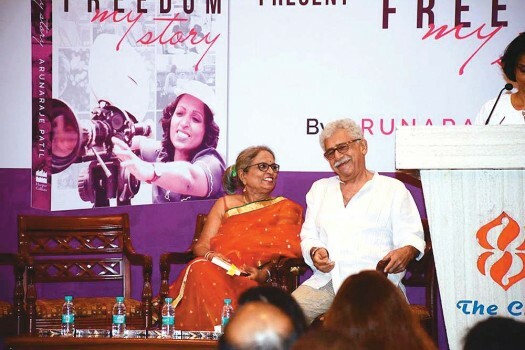 Usman's biography on Dutt did not strike the right chord with the actor, apparently for its explicit content. 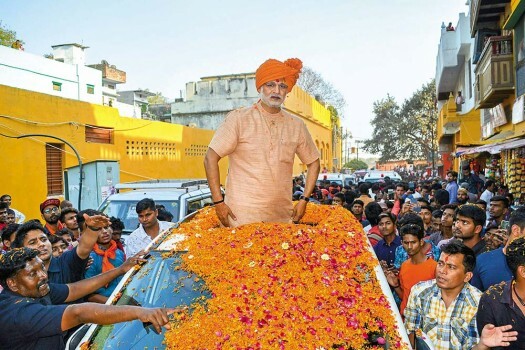 Speaking at the launch of a teaser of a film on Balasaheb Thackeray, he said making a movie on his father was difficult because it would not have a hero or a heroine. 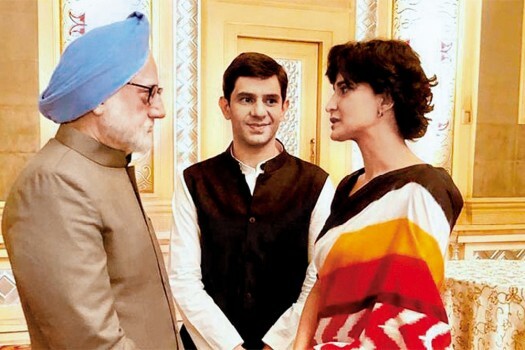 Sheikh has previously worked in TV serials such as "Yeh Rishta Kya Kehlata Hai" and "Na Bole Tum Na Maine Kuch Kaha". 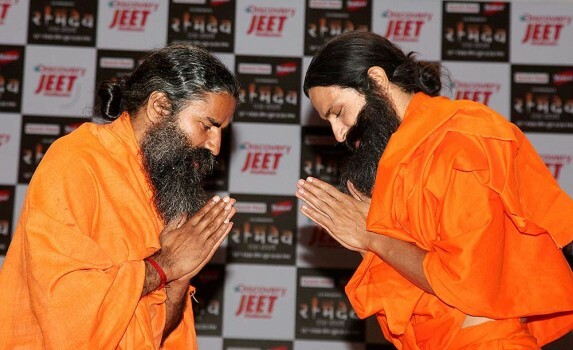 "Joseph Anton," He Told Himself, "You Must Live Till You Die."